Trehalose is a carbohydrate ingredient used in baking, beverages, chocolates and other food formulations. The molecule is made up of two glucose units and does not participate in Maillard or caramelization reactions. 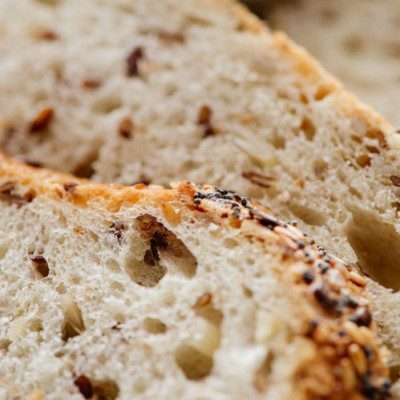 Its anti-staling properties, thermal stabilization of wheat proteins and beneficial impact on bread yeast make it an ideal component of frozen dough systems. Trehalose, widely distributed in nature, is found in plants as well as in bacteria, fungi, insects and invertebrates. It protects these microorganisms against various stresses such as loss of moisture and freezing.1 Mushrooms contain up to 10-25% of it by dry weight. Trehalose has the same caloric value as other sugars (4 kcal/g). It has no laxative effect and breaks down in the human body into glucose. Increase moisture retention in baked goods, reduce chewiness and hardness and keep the product moist for longer. Improve yeast viability in frozen doughs. Enhance the quality of bread made from frozen dough. Koch, E.M. and F. Koch, The presence of trehalose in yeast. Science, 1925. 61(1587): p. 570-572. Harding, T., History of trehalose, its discovery and methods of preparation. Sugar, 1923. 25: p. 476-478. Higashiyama, T., Novel functions and applications of trehalose. Pure and applied Chemistry, 2002. 74(7): p. 1263-1269. Zhou, J.-C., Y.-F. Peng, and N. Xu, Effect of trehalose on fresh bread and bread staling. Cereal foods world, 2007. 52(6): p. 313-316.